Sometimes a girl just dosen’t want to wear heavy makeup, especially on a day to day basis. Perhaps you’d like to take a a break from the excessive “glam” that comes with watching to many YouTube tutorials and Instagram beats. I personally love the ‘No makeup’ makeup look where the sole aim is to appear au naturel but still with as much flawlessness as possible. So first things first. It’s all about a great base. Make sure to keep your skin hydrated. Oily skin can be dehydrated if you don’t use a good product. Opt for an oil free version but it’s super important not to skip this step. Dry skin needs to be balanced out otherwise you’ll never achieve the full glow. To erase any shine, a good primer is an essential. There are lots of different types of Primers on the market. They literally do what it says on the label. Prime the skin. Which means they get the skin ready to apply makeup and help it to last longer. Alot of people confuse Primers and Mattifyers. You can easily get all in one products that do both these jobs. But just make sure you read the product before you use it, otherwise you may be primed but still experience some shine. 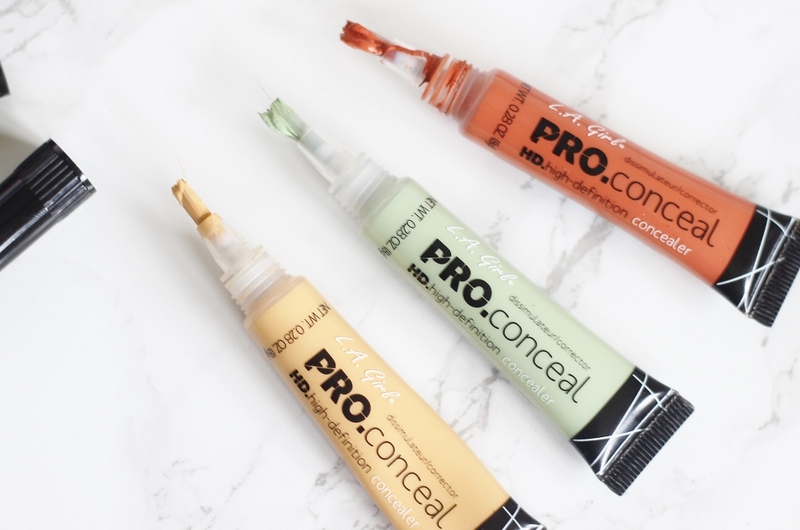 Even out the uneven skin tones on your face with a good colour corrector. If you are happy with your results when your foundation and concealer is applied, feel to free to skip this step all together. Foundation that matches your skin tone is very essential, seeing as the look you are gunning for is natural. Avoid lighter foundations as this would make you appear pale and ashy. If you have oily skin, opt for an oil free buildable coverage foundation and if suffer from dry skin, try using a water based moisturising range which will hydrate and stay dewy rather than matte. Using a damp beauty blender vs a foundation wedge or brush as this will even out your base makeup and help to make it a little bit more dewy and less cakey. One of the key the top secrets to acheiving a natural look is avoiding a heavily powdered finish. Try to keep your base still looking like skin. Using a setting powder helps to ‘set’ your makeup without adding weight and cakiness. There are lots of setting powders available in either loose or pressed form. The famous Ben Nye Banana powder is one of the best known but it’s not suitable for darker tones to use all over. If natural isn’t really the look you’re going for, check out this article all about setting powder and baking your face. I’d recommend either a translucent powder or something very close to your own skin tone. Zaron recently launched their pressed setting powder which is ideal for carrying in your makeup bag. Sometimes loose powder really is a little awkward for touch ups during the day! Setting Spray is more or less the glue that holds the entire look together. Spray on some setting spray so your makeup lasts all day. What do you think? What’s your essential must have item for your every day beat?